Last week I showed pictures of an amazing job we just finished up. Calacatta Gold marble in the Kitchen. Pure White CaesarStone in the Master Bath. Here are the pictures of the other two bathrooms we did the countertops in. Both have Carrara marble with a honed finish. The edge detail is a Miter. This first picture is the Girl's Bath. 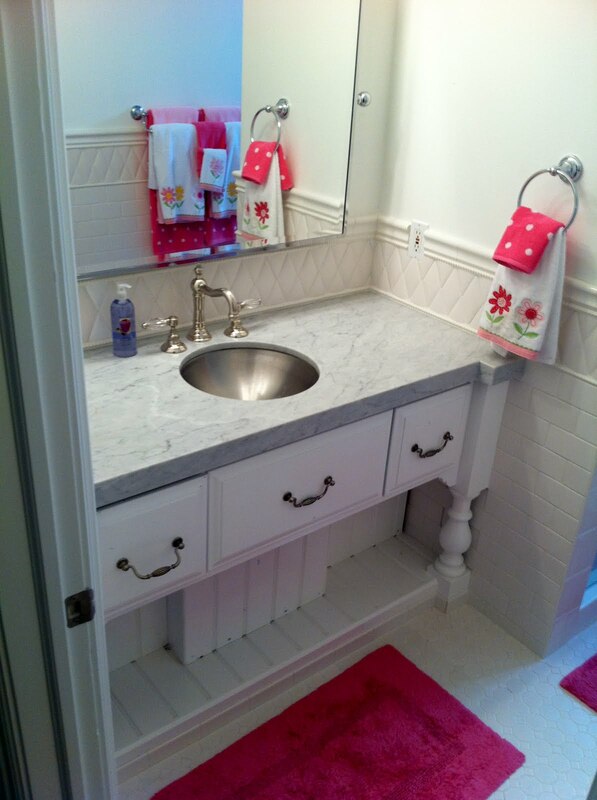 I love the white tile, the stainless sink and the accents of pink. Next is the awesome Boy's Bath. She chose a linear glass tile for the full height wall splash. Such a great look. July is Giveaway Month here on our blog! Click here for details and to enter our first week's giveaway. *Photos property of MGS by Design. 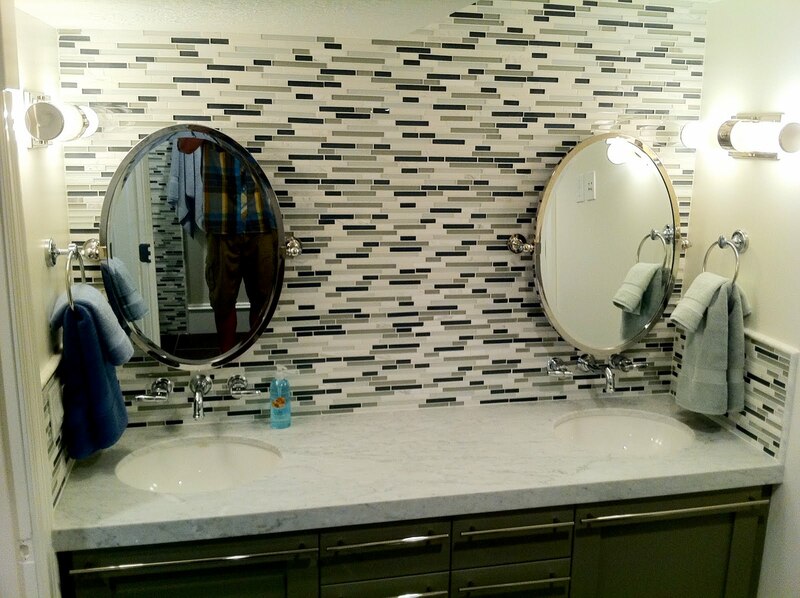 The Carrera marble looks awesome in both the feminine and masculine applications. The pink is so beautiful and the glass wall is awesome!